Michel (Jean-Paul Belmondo) is a fast-talking criminal with a tilted hat and a cigarette hanging from his lip, like Humphrey Bogart. He is on the run from police. 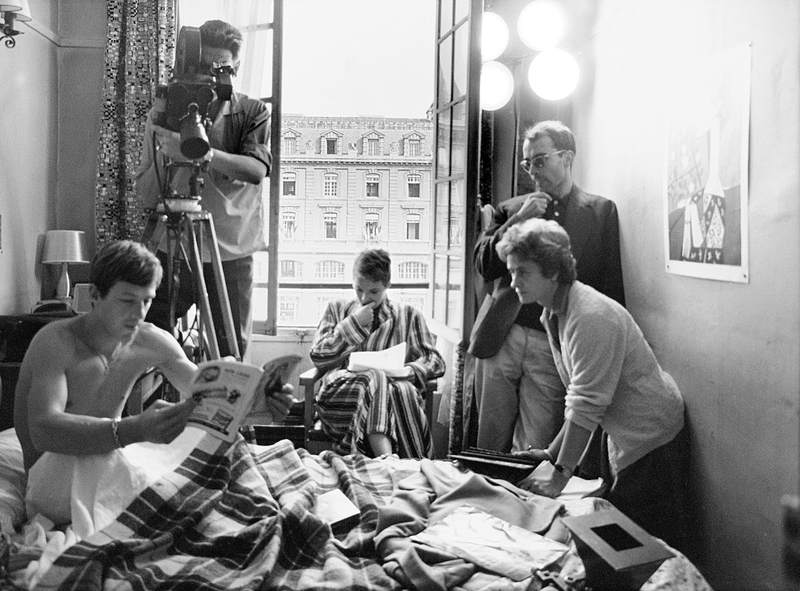 In the second scene, Michel addresses the camera directly about his situation, and from thereon, director Jean-Luc Godard invites the audience to join in on the joke. Everyone watching Breathless is suddenly Michel’s confidant. Early on, we discover that Michel’s a charmer or a sleaze, depending on your tolerance for smirking. He turns to the clever and kind-eyed American journalism student and newspaper saleswoman Patricia (Jean Seberg) for a place to stay. 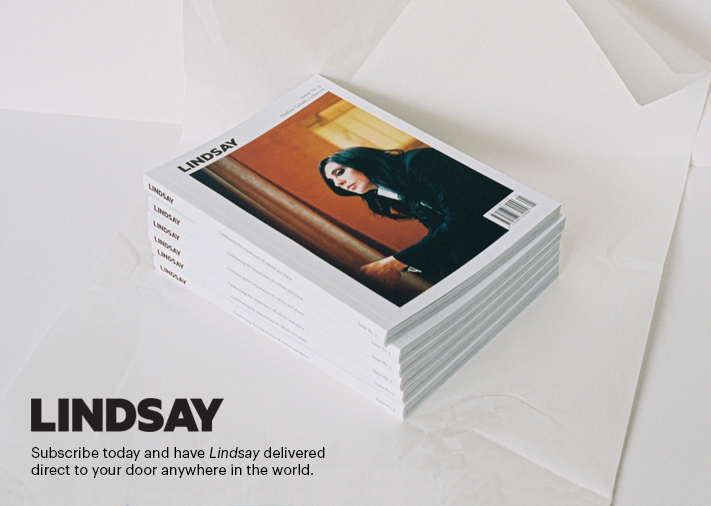 He sells her the dream of escaping to Italy together, and she’s endeared by this prospect. But the cops are closing in, and you feel that Michel’s web of past mistakes is about to finally ensnare him. Ninety minutes fly by as Patricia, Michel, and their various friends and associates zoom down country lanes, smoke cigarettes in very French striped attire, wander the Parisian maze, flirt while evading the law. You’ll feel lightheaded and like you’ve experienced a decade in France, rendered in black and white. 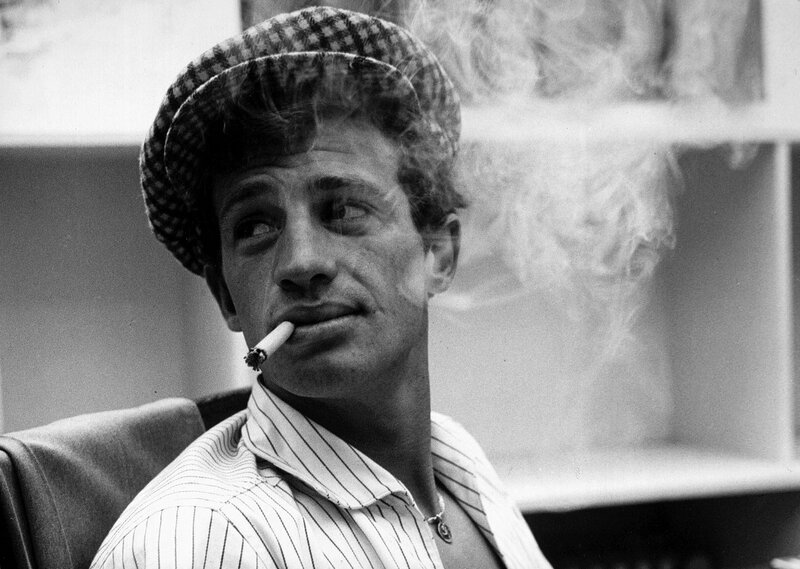 Jean-Paul Belmondo as Michel Poiccard in Jean-Luc Godard’s Breathless, (1960). 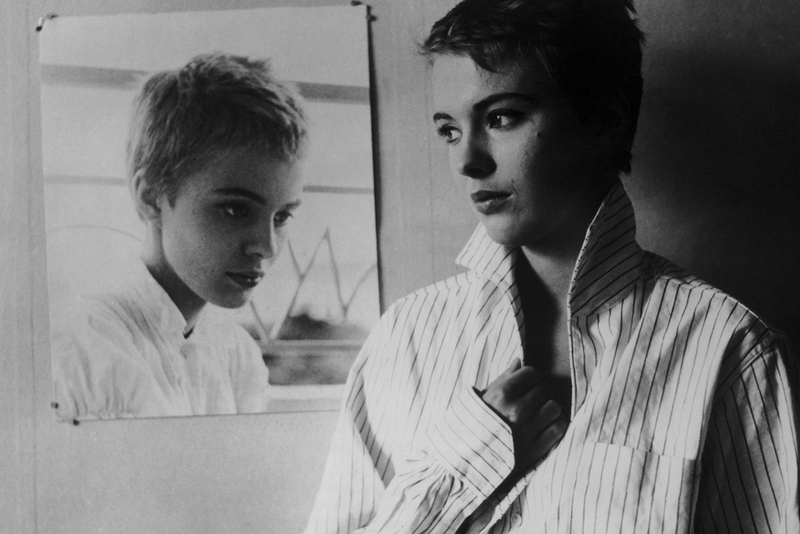 Jean Seberg as Patricia Franchini in Jean-Luc Godard’s Breathless, (1960). 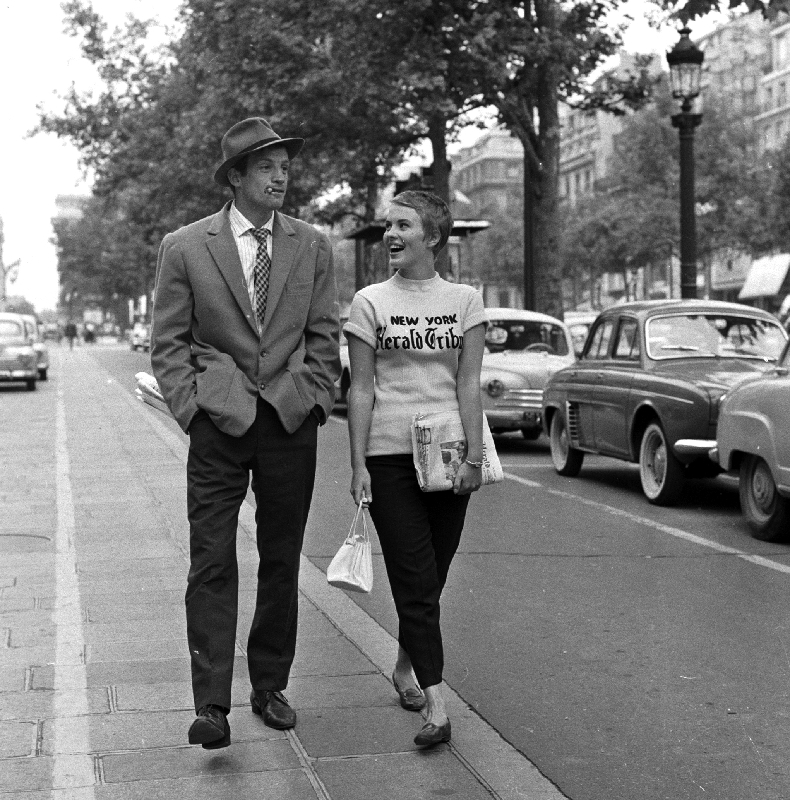 Inspired by a short newspaper article in The News in Brief about a real couple, Godard’s Breathless is a rule-breaking tribute to youthfulness, recklessness and gangster movies, and is considered one of the films that kick-started the French New Wave (Nouvelle Vague). This movement involved (then) renegade French filmmakers making works that looked, sounded and generally felt like souvenirs from a far-hipper parallel universe. 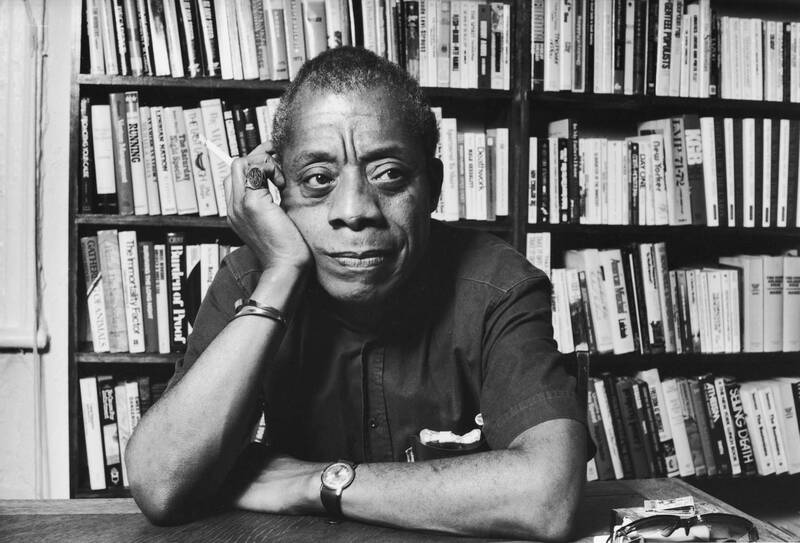 Hallmarks of the movement included unconventional editing and camera techniques, coupled with the homage-heavy narrative. 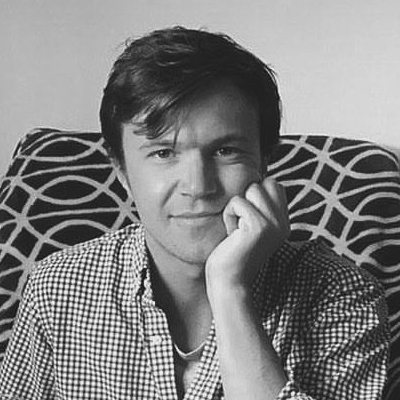 The directors involved in the Nouvelle Vague weren’t like their Hollywood peers—cogs in the movie-making machine—Godard and his contemporaries (including François Truffaut, who wrote the script treatment) were creative risk-takers and film critics with associations to the prominent journal Cahiers du Cinéma. They were auteurs rather than directors in the classic sense, and their films presented a jazzy new energy throughout 1950s and early 60s French cinema that challenged the establishment to rethink film narrative and technical conventions. Behind the scenes of Jean-Luc Godard’s Breathless, (1960). 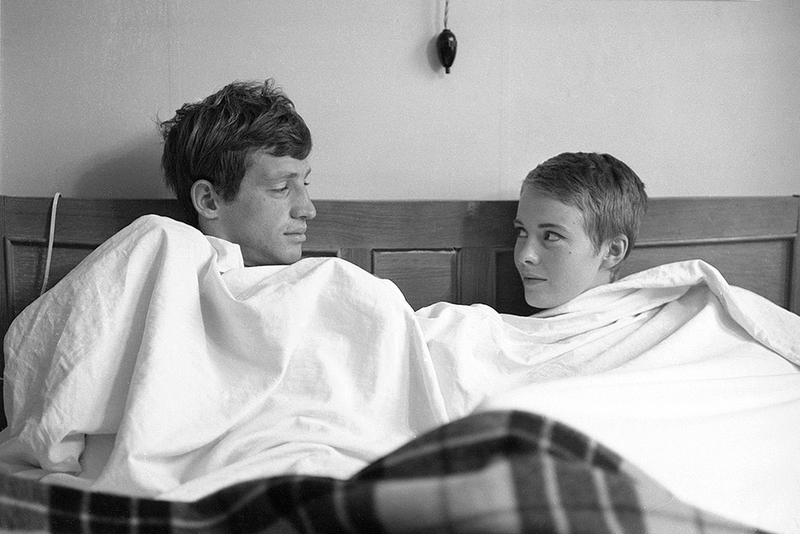 Jean-Paul Belmondo as Michel Poiccard (left) and Jean Seberg as Patricia Franchini (right) in Jean-Luc Godard’s Breathless, (1960). The essence of the Nouvelle Vague is pulled into focus during a seemingly meditative ebb in the plot: Patricia is waiting to ask a writer something in the midst of a casual press conference. The other reporters off-handedly pose philosophical questions while Patricia is ignored. Eventually, she overcomes the more domineering voices and asks, “What is your greatest ambition in life?”. The writer (Parvulesco, played by Jean-Pierre Melville) pauses and takes off his sunglasses. “To become immortal… and then die.” In one moment, a swift slice of dialogue captures the spirit of French New Wave: to innovate, to creatively challenge the world, and then go out with a bang. 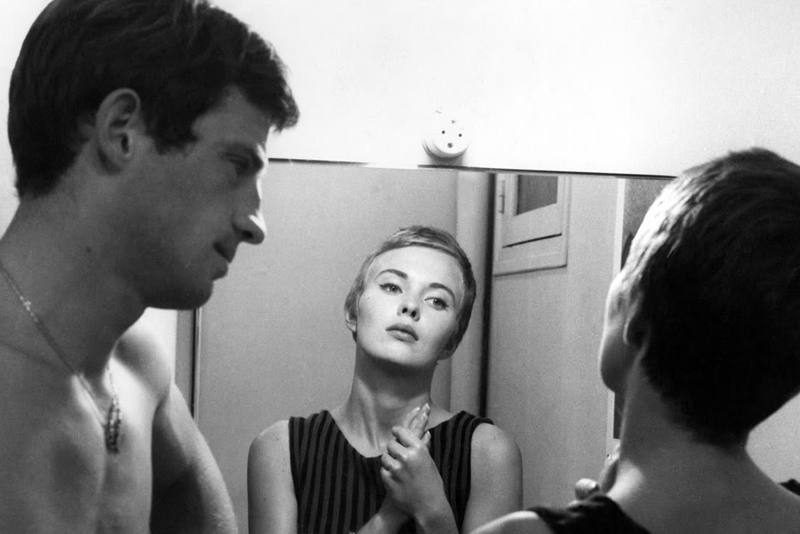 Jean Seberg as Patricia Franchini (left) and Jean-Paul Belmondo as Michel Poiccard (right) in Jean-Luc Godard’s Breathless, (1960). To this day, Breathless continues to be a fresh and wildly energetic piece of filmmaking. Much like the later American New Wave film Bonnie and Clyde (1967), it’s imbued with a sense of violence and sexuality that bubbles to the surface throughout—a reaction to the changing social climate in both countries. However, Breathless is arguably the more buoyant piece of cinema, as the spontaneous narrative and performances contrast with Bonnie and Clyde’s more traditional “cinematic” style. 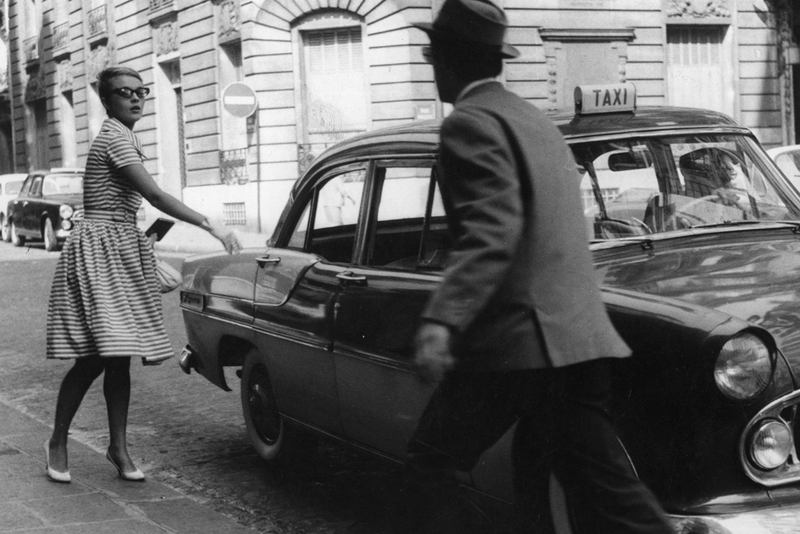 The handheld cinematography and largely improvised dialogue creates an atmosphere of restlessness and unpredictability; Godard added to the script on set, spontaneously fed new lines to actors, and experimented with unplanned shots on filming days. This sense of spontaneity reflects the place in which the film was produced—a metropolis where cars, bikes and pedestrians intermingle on the streets, constantly shifting and adjusting to the ever-changing environments around them. The script’s youthful spirit and Michel’s pop culture references add to the film’s relevance 50 plus years on. Michel models himself (aesthetically and somewhat morally) after film noir hero Humphrey Bogart, as if he longs to be the antihero of his own film. With this idolisation of a movie star, Godard takes us to a version of 1960s France, one that still romanticises wartime and postwar Hollywood. The director himself appears on screen as an informer, bridging the worlds of “behind the scenes” and “on set.” This slightly awkward cameo in the style of Hitchcock’s appearance in Strangers on a Train, paints the director as part of the film’s mythology, and nods to the cinema knowledge of filmgoers. Above all the surprising dialogue, jazzy soundtrack, and jump cuts, the heart of the film is in the two characters: two young people at the start of a new decade, trying to figure out their complicated relationship with each other and the world. 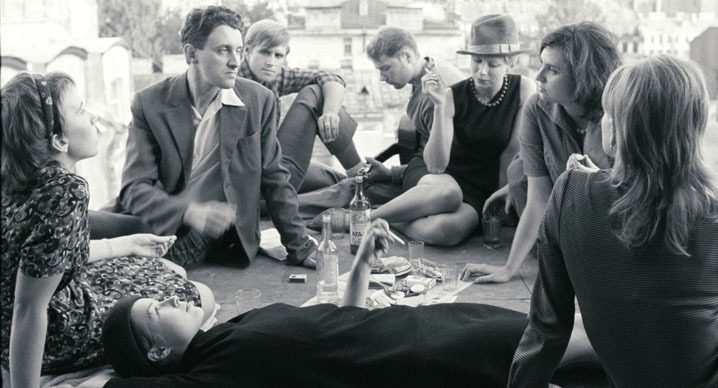 The price of a movie ticket and a coffee in Paris might have changed in the fifty seven years since the release of Breathless, but the world is still full of Michels and Patricias, who are all out of breath, chasing something they’ll never find. 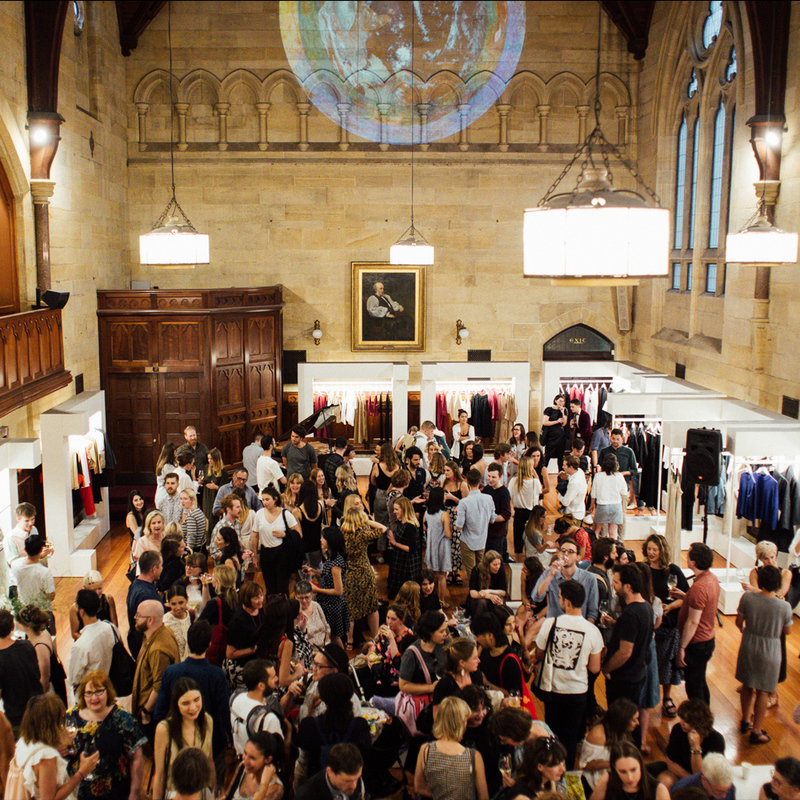 Max Hayward is a Melbourne-based writer who is passionate about film musicals and mimosas. 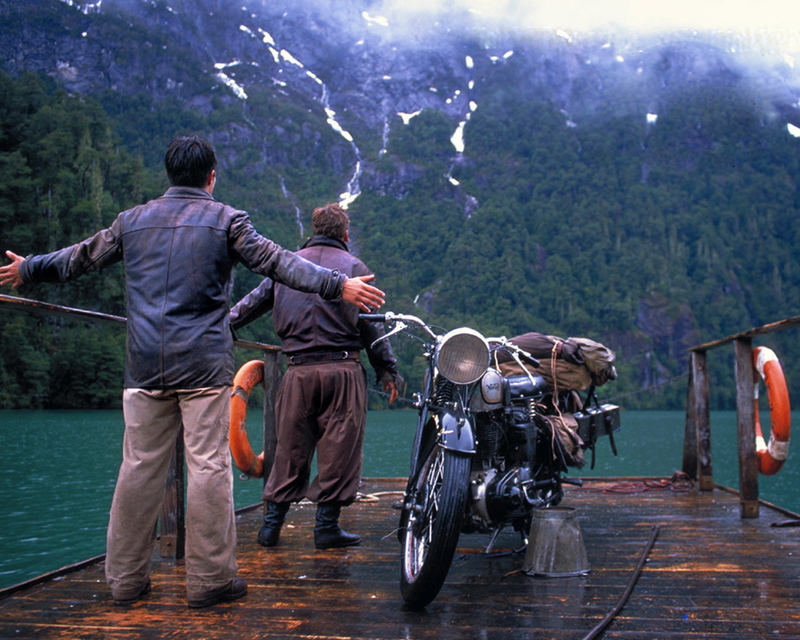 Max Hayward reviews this full-hearted biopic following a charismatic Che Guevara and his friend Alberto Granado as they navigate the windswept landscape and harsh social climate of South America. 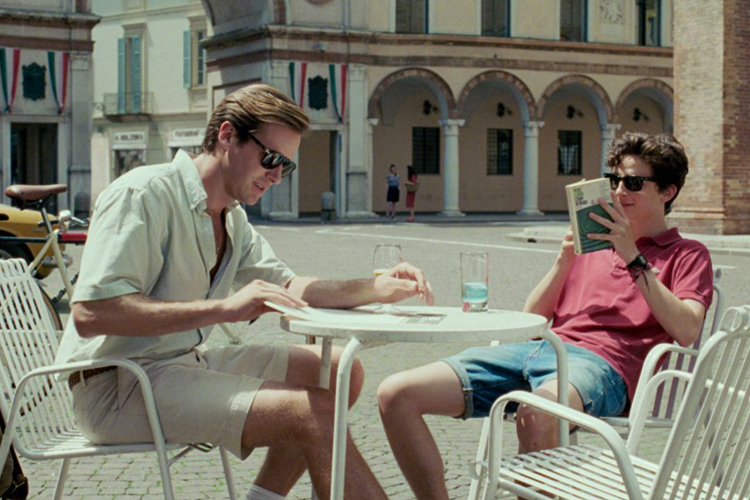 The latest film by Italian director Luca Guadagnino transports us to a romantic northern Italy, drenched in summer light and a tender love. Olivia Dennis reviews one of the most intimate love stories in recent cinematic history. Filmed in one continuous shot through concrete Berlin, this film is a two-hour cinematic ride that takes us through the romance, musicality and uncertainty of a city that wakes at night.